Eating healthy doesn't have to be hard or break the bank. The accomplished Chef Claudy from E.A.T. 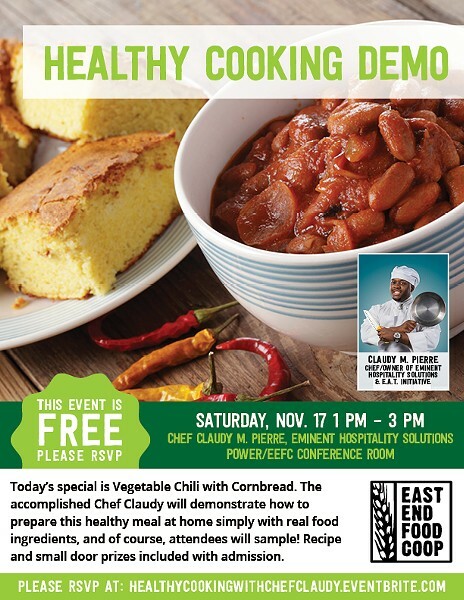 Initiative will demonstrate how to prepare Seasonal Vegetable Chili with Cornbread at home, simply with real food ingredients, and of course, attendees will sample! Recipe and small door prizes included with admission.